Who would start a historical romance with a shipwreck? Oh … that would be me. I love starting my stories with true historical events and using real historical characters if I can. Besides the ship, my story also includes Captain John and Celia Persons, who ran the lifesaving station on Thunder Bay Island in Lake Huron near Alpena, MI. Thanks to the Persons and their crew at the station, all hands were safely brought to shore after the wreck. 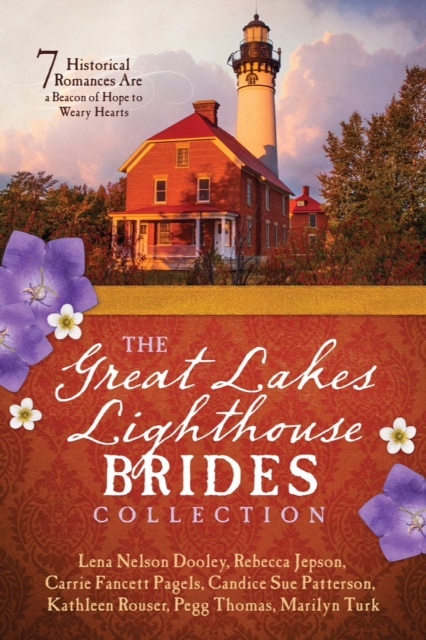 Anna’s Tower, part of The Great Lakes Lighthouse Brides collection, begins with the wreck of the James Davidson. That wreck—rather conveniently if I do say so myself—allowed me to add a fictional stowaway who becomes the hero of Anna’s Tower. I also employ fictional characters to inhabit the lighthouse on Thunder Bay Island, but the tugboats that bring supplies to the island were named after the actual tugboats that worked in that area at that time. Knitting together real history with my fictional stories is what I love to do. It brings the reader deeper into the story, knowing that some of the characters, places, and even boats once existed. While they were entertained and engrossed in the fictional story, they were also enriched with a bit of the culture of that day. 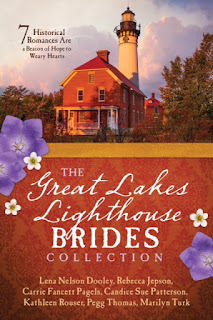 And speaking of knitting … I am giving away one of my signature handspun, handknit shawls to celebrate the release of The Great Lakes Lighthouse Brides. The only way to enter is to subscribe to my newsletter. One lucky subscriber will win the Beacon on the Bay Shawl on November 30, 2018. Pegg Thomas lives on a hobby farm in Northern Michigan with Michael, her husband of *mumble* years. They raise sheep and chickens, keep a few barn cats, and Murphy the spoiled rotten dog. A life-long history geek, she writes “History with a Touch of Humor.” Pegg is published in the Barbour historical romance collections. 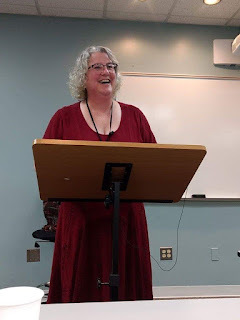 Pegg also works as Managing Editor of Smitten Historical Romance, an imprint of Lighthouse Publishing of the Carolinas. When not working or writing, Pegg can be found in her barn, her garden, her kitchen, or sitting at her spinning wheel creating yarn to turn into her signature wool shawls. Normally, I create fictional places and people, but I set my new novella in an actual place--one it wasn't possible for me to visit. Yipes! It makes me nervous. My heroine traveled there on a real steamship (though the reader does not see the actual trip). I found the name in an old newspaper article and thought it would be fun to use it. Hi Pegg! I really enjoyed your post - and your book sounds intriguing and like something I would enjoy reading. I love books based on actual events and people - especially as side characters. It’s very enjoyable and often leads to research of my own. Good luck and blessings. Pegg, thanks for guesting on Seriously Write. I love it when you visit. 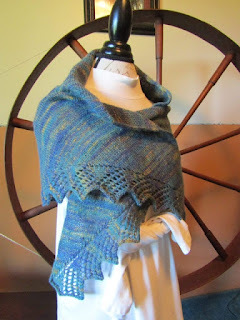 I'm drooling over the beautiful shawl. You are so talented in so many areas. Love the sound of your book and I see some other familiar names in the anthology. It looks like a great collection and I wish you the best of luck. Maybe someday I'll get brave and try writing historical.